If you enjoy the excitement and anticipation of a beautiful covey rise on a crisp morning and the pleasure of watching the English Pointers and the Retrievers at work, then High Log Creek is the place for you. Situated in the middle of Alabama quail hunting country, High Log Creek offers full and half day quail hunts by horseback and mule drawn wagon. Our goal is to offer a traditional plantation-style quail hunting experience suited for family, friends and clients. 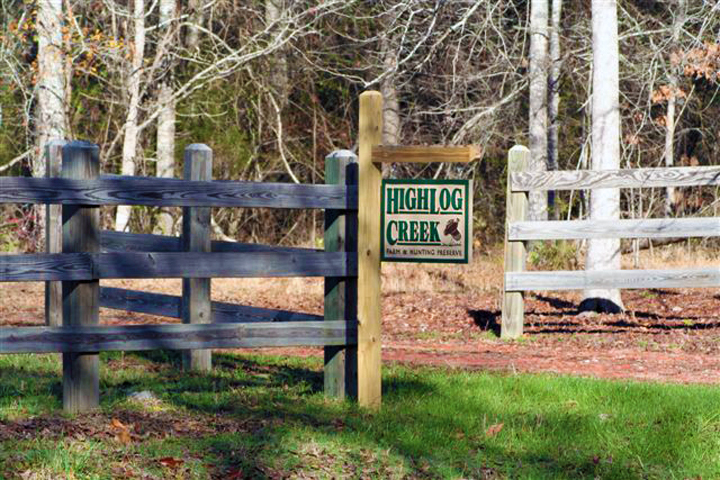 High Log Creek is located in East Central Alabama, an easy drive from Birmingham, Mobile, Montgomery or Atlanta. We provide comfortable lodging, with delicious southern-style dining for breakfast, lunch and dinner. We look forward to having you join us this season for a tradition rich quail hunting experience!